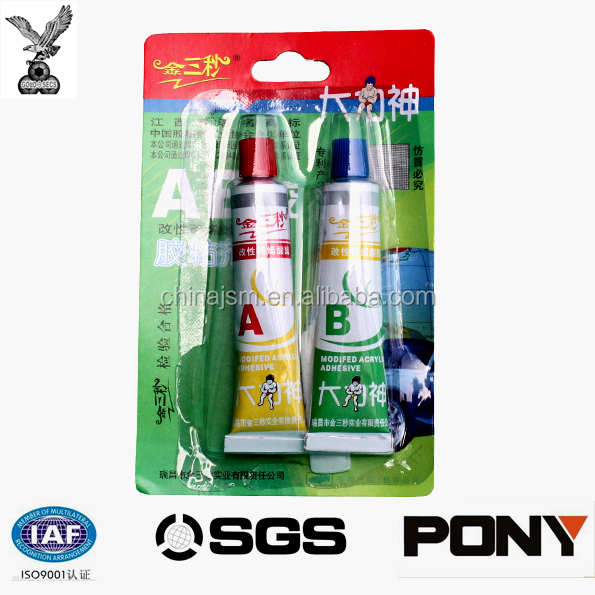 Our company AB glue has complete range of articles,Dark and light color, translucent, and transparent.Both A and B glue is 100% solid ingredients,With rapid hardening time,Good resistance to impact strength,Excellent heat resistance,Using a wide range;All kinds of metal or other material sticking to each other,Such as magnet, ceramic, polly, resin, stone, handicrafts, electronic, etc. A 10g and B 10g by aluminium tube, 20g into blister card, then 600 cards into master carton. A 40g and B 40g by aluminium tube, 80g into blister card, 48 blister cards into small box, then 192 cards into master carton. 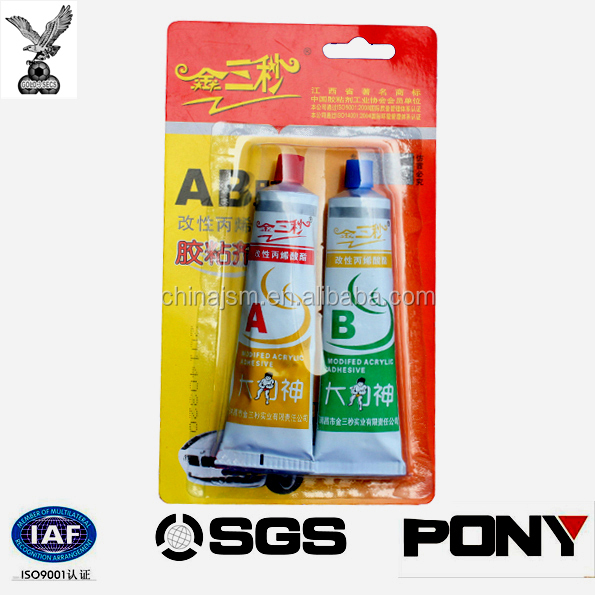 1,It is a two-component, modified acrylate adhesive. 2,Cold hardening speed, work is good. 3,Strong impact resistance, heat resistance, good toughness, good aging resistance, water resistance is superior. 4,Formula without any solvent, mixed hardening after one hundred percent solid content. 5,Mixed operation is simple, suitable for automatic machine operation, improve production efficiency. Can be widely used in craft products, hardware, lighting, electrical, electronics and other industries in the speaker magnet, T iron assembly, and other variety of metals, plastics, ceramics, glass, polly, wood, stone, etc. 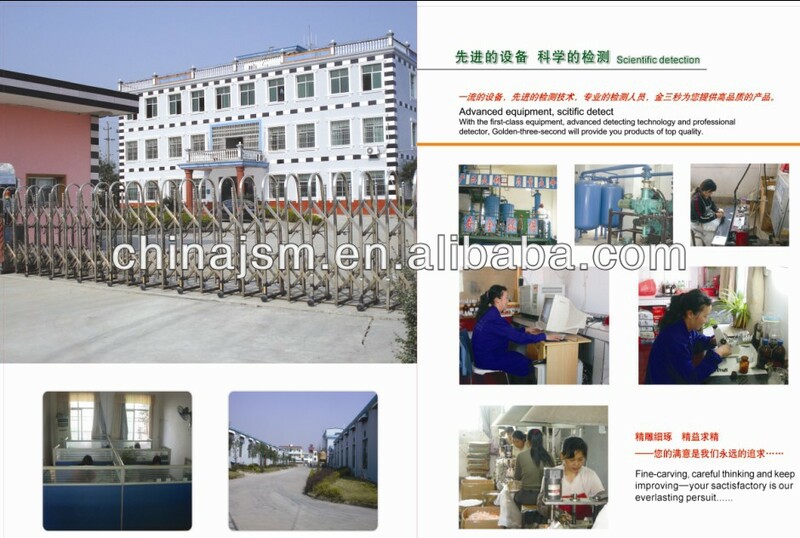 1, clean the water, dust, dirt,on the surface of glued materials etc., keep the surface clean. 2,Iflarge area stick, can glue the double-sided,glue of A glue in surface coating .,and another side glue of B can fit on the other side.